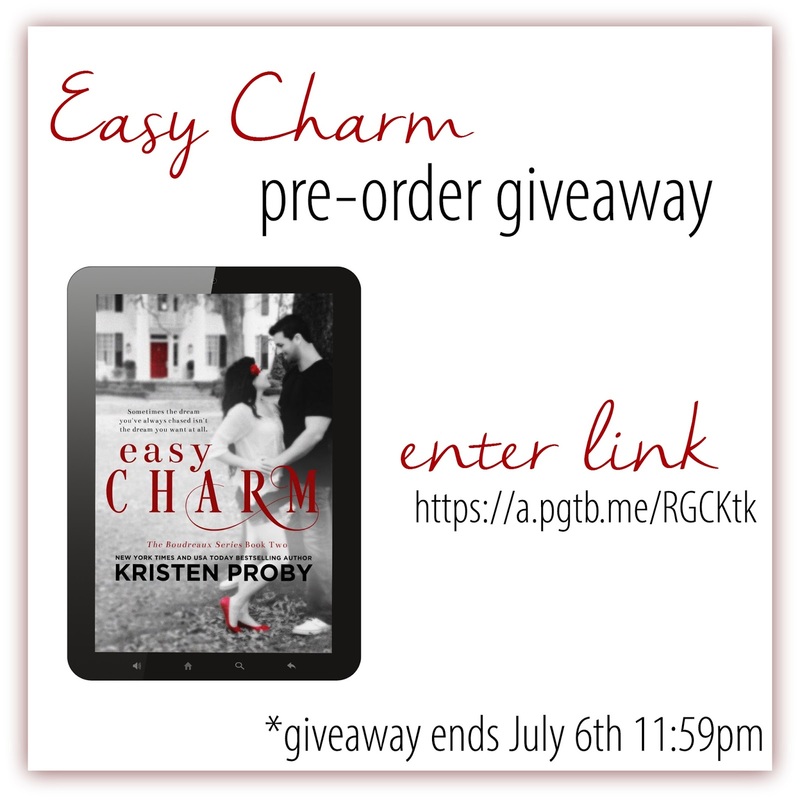 Preorder Kristen Proby's EASY CHARM and fill out this form to be entered to win an iPad mini, Gift Cards and more! Entries must be entered by 11:59pm July 6th to be valid. Where do I begin? We all know that I am a sucker for an athlete. I just can't get enough of them, especially Kristen Proby's athletes. I wasn't sure what to expect with Rhys, since we only got a glimpse of him in Easy Love. Rhys is Kate's cousin who plays baseball in the major leagues and sustains a Rotator cuff tear injury, putting him out for the season. Rhys heads to the Bayou for some much needed rest and recuperating. While he is there, he plans to work on strengthening and doing rehabilitation on his shoulder with the hopes of returning in the upcoming season. 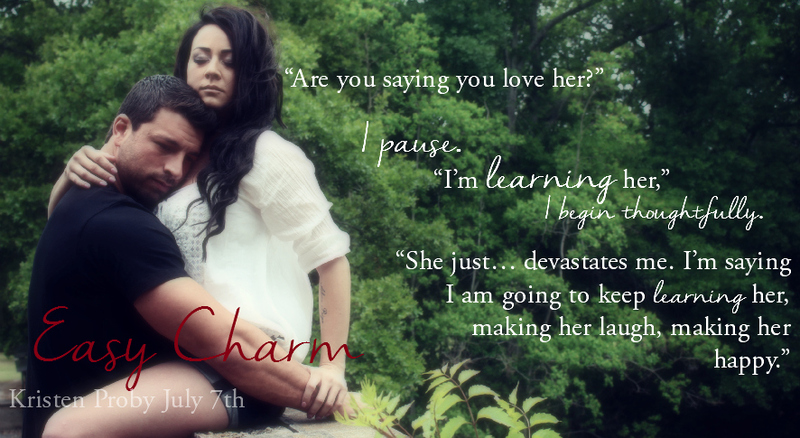 What Rhys never planned was to fall for the woman running the Bed and Breakfast where he is staying. Gabrielle "Gabby " has major trust issues with men. Raising her seven year old on her own after the father of her child left when she told him she was pregnant, has left her with a steel heart. It was shattered once, so she refuses to open herself up to anyone for fear that it won't survive. The only people she trusts are those that are related to her... her family. Through the years, her family has been by her side every step of the way with running her Inn and raising her son, Sam. 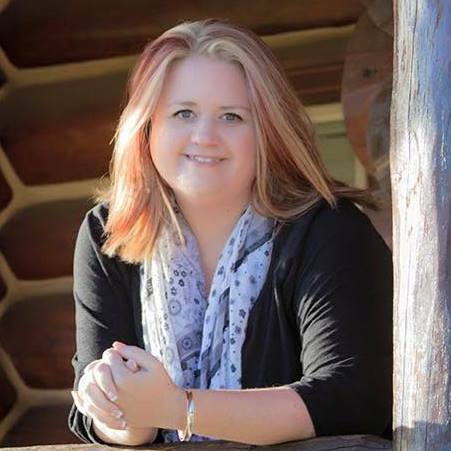 Gabby never expected to have her guest spark feelings that she hasn't felt in over seven years. Never did she imagine that just his touch would cause goosebumps on her skin; butterflies in her stomach. Rhys is drawn to Gabby. He wants to get to know her, but Gabby's walls are constructed out of steel. Will Rhys be able to melt those walls? Will Gabby open her heart to the possibility of love again? Will Gabby allow Rhys the opportunity to get to know her... to be close to her son. Gabby's two priorities are her Inn and her son, Sam. She knows that Rhys is here to rehabilitate his shoulder. Her concern is as her feelings for him are growing stronger, she doesn't know if Rhys will plans to stick around. Will Rhys return to baseball when he is well enough to play? Will Rhys walk away from Gabby and Sam, like Sam's father did? What will Rhys do if given the opportunity to play baseball again? Is his love for Gabby stronger than his love for baseball? Will be able to juggle both his career and his love for Gabby? Can Rhys balance a career and a family? I enjoyed this story. I loved seeing Gabby open her heart to the possibility of love. Trusting someone after being crushed can be hard, but she didn't hold someone else's mistake against Rhys. Yes, she had her trust issues, which was completely normal for her circumstances. Rhys could see the love that Gabby had for her son, and knew that she was a beautiful woman inside and out. He needed to gain Gabby's trust and brake down her walls. Once he did, he knew that he couldn't let her go. He needed her as much as he needed air to breathe. 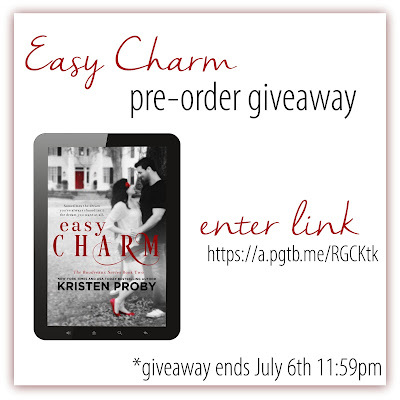 As always, Kristen Proby delivers a great storyline with a group of characters that you are bound to love. 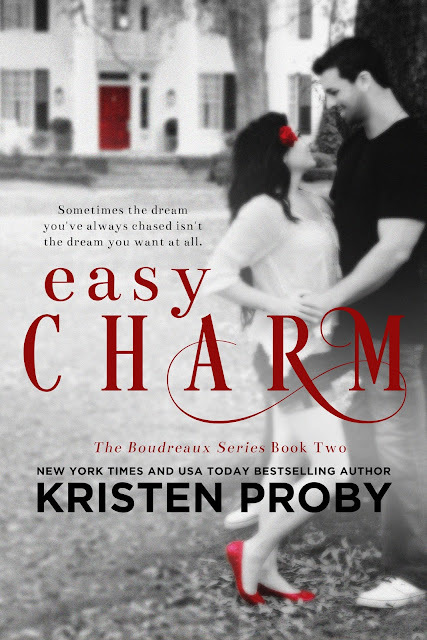 If you have not met the Boudreaux's, I suggest you one click this series.